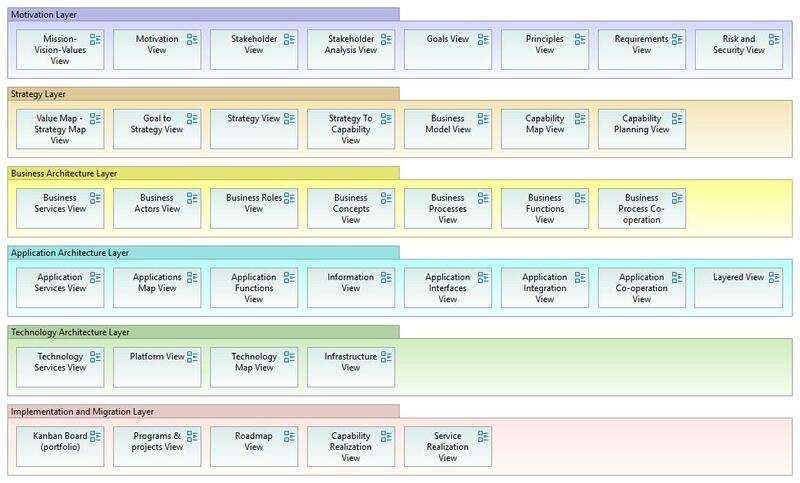 A Customer Journey Map alike view can be modeled with ArchiMate. 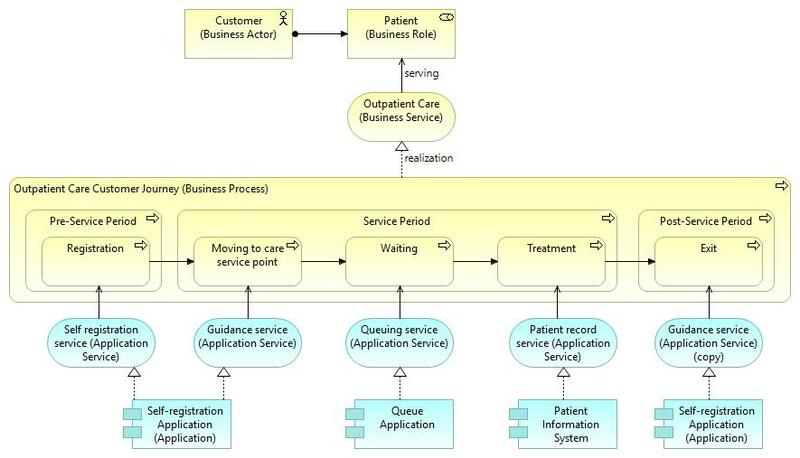 A customer journey can be modeled with the “Business Process” concept as shown in the diagram below. This customer-centric viewpoint is focusing on customer experience. This “service design” related approach is concentrating the “outside-in” development of the service that is to be designed. This highlights the services and products as essential aspects that produces value to customers – and indirectly to the organization itself. A customer journey path can be used to visualization of a customer value stream, which spans over several application services and applications. In addition, this view combines both “outside-in” and “inside-out” approaches into single one overall view. 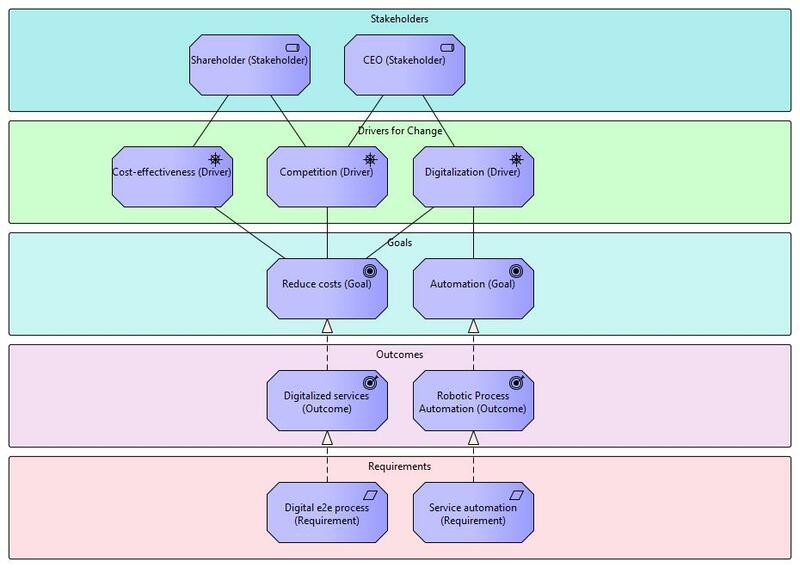 Same view added with customer journey phases: Pre-Service Period, Service Period, Post-Service Period. Customer Journey View with Phases. Customer Journey is near to typical business process view, which focuses on specific process as shown below. 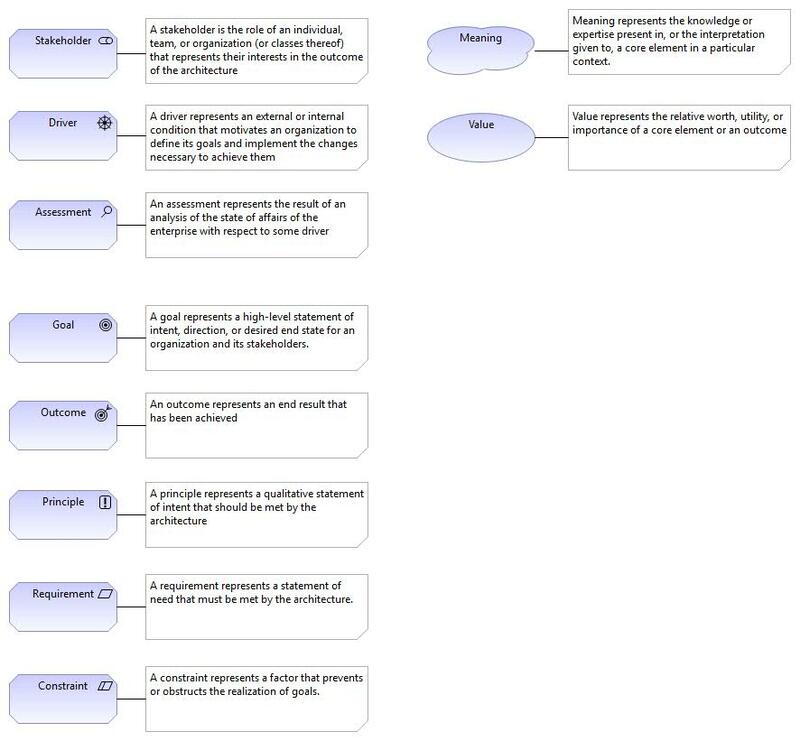 This business process view provides a “high-level structure and composition of a business process (or several processes), the services that are offered, the assigned roles of actors, and the information used by the business process”. This process diagram contains “Junction” -elements to model “fork” and “join” in the process flow.